Trains on the Red and Green lines were temporarily delayed Thursday morning due to track conditions. 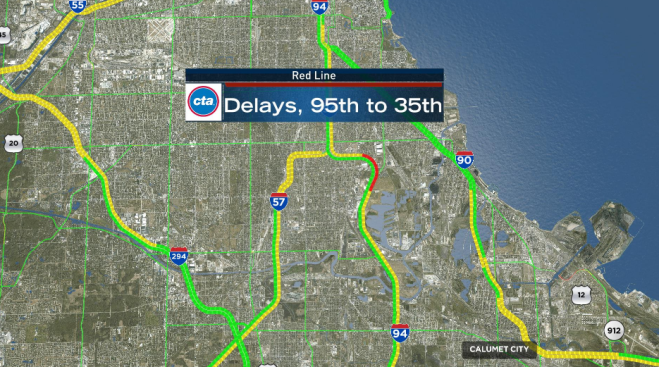 Red Line trains were halted about 5:35 a.m. between 95th and 35th streets, according to the CTA. Trains were on the move again shortly after 6 a.m., but operating with residual delays. Green Line trains were experiencing delays while entering and exiting the 63rd/Ashland and 63rd/Cottage Grove stations, but normal service was resuming by about 6:30 a.m. Delays on both lines were due to track conditions, the CTA said. The National Weather Service put a freezing rain advisory into effect until 9 a.m. Thursday. Freezing rain or drizzle could cause ice accumulations of up to a tenth to an inch in Cook, Lake, McHenry, DuPage, Kane and DeKalb counties, among others.